Those who say alcohol is "evil" tend to make poor drinking buddies, they also tend to be snitches, so best avoid them like a batch that smells of farts. 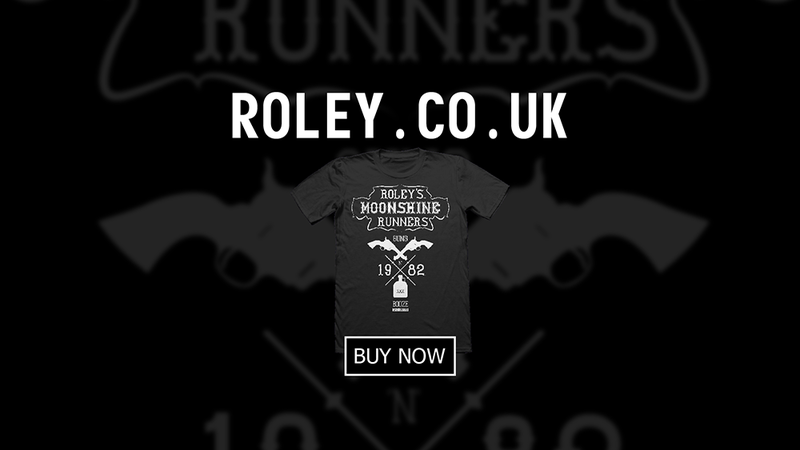 Roley's Moonshine Runners is a super secret gang of outlaws, who smuggle alcohol right across the wild west, all you need to join the gang is a can do attitude - and a shirt. Money selling Moonshine is great, but an occupational hazard is getting shot dead by the police - let's hope that isn't a trend that catches on. Anyway I suppose no one would mind if you bought the shirt, wore it and didn't partake in the highly lucrative, but incredibly dangerous, Moonshine Running - might even be the clever thing to do.